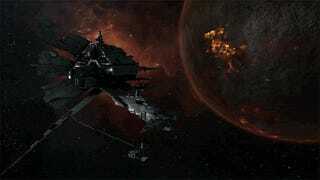 EVE Online is not just about gigantic space battles. There's beauty out there in the vast emptiness of space. Andy Kelly and his fantastic series 'Other Places' has returned after a hiatus of three months. This time he captured the beauty of EVE Online's New Eden.